Hi! 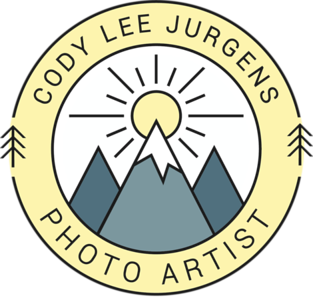 My name's Cody Jurgens and I am a passionate, Portland, Oregon native photographer whose mission is to share with the world what I capture through my lens. Photography has done so much for me. It has provided me with peace, adventure, and travel. It has given me a creative outlet to express myself. I believe in the idea of telling stories. Not just snapping shots. Capturing deep meaning in my shots and the search for these moments is what drives me to continue. I carry my camera everywhere I go because you never know when you will stumble across the moments that is calling to be captured. Emotions, body language, irony, contrast, juxtapositions, you name it. I love the exploration of finding unique, story-telling shots. Besides the hunt to snap my shutter release at the right moment, I love to help people and give back to the communuity with my photos. I love working with individuals striving to promote themselves, their brand, or if people just want some amazing portraits of themselves or with a loved one. Capturing this beautiful part of the world that I live in, the Pacific Northwest, is a treat, and to be able to provide people with stunning landscape and nature shots keeps me motivated every day. Giving back is what it's all about.